Flat Flex Cable (FFC) is made of flat high-ductility conductors laminated between layers of dielectric material. The dielectric insulation material is generally either polyester or polyimide. 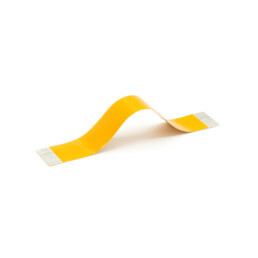 Flat flexible cable can be flexed millions of times, folded into any configuration and can be EMI shielded if necessary. Designed for board-to-board interconnections in electronics. They are compatible with LIF, ZIF, and crimped connector systems. PICA Manufacturing Solutions can provide customized flat flexible cable assemblies incorporating folds, shields, punching, marking or other mechanical assembly.